You have to admire anyone setting off on an 7 day cycle event, covering around 100km day. So we’re in awe of all those who took part in the this year’s Tour of New Zealand – a punishing enough event even without the bad weather that accompanied a lot of the race. There was also journalist Rod Oram and the hardworking Team Akina, Rod (above) used the event to perfect a technique he calls “ride management” – a technical term for just getting to the finish line in one piece. We’re very glad he and his team did! Thanks also to Anna and the stylish team from Tea Total – good job! Hopefully they can now enjoy a well deserved cup or two. We gave a shout out last week to Gabby and the wonderful Spinstars team (below) Like true stars they not only stormed the route, but also took advantage of an unscheduled day off on the final day in Wellington to get their nails done. We like your style, Spinstars! Well done to Kiwi Coffee / Amstrong Prestige (minus Simon, who unfortunately crashed out before the event started with a broken collarbone). They claim that “Cyclists are like bananas – the older the get the less the firm they are” – but we reckon they will have firmed up nicely after 800kms even if they do feel slightly older. 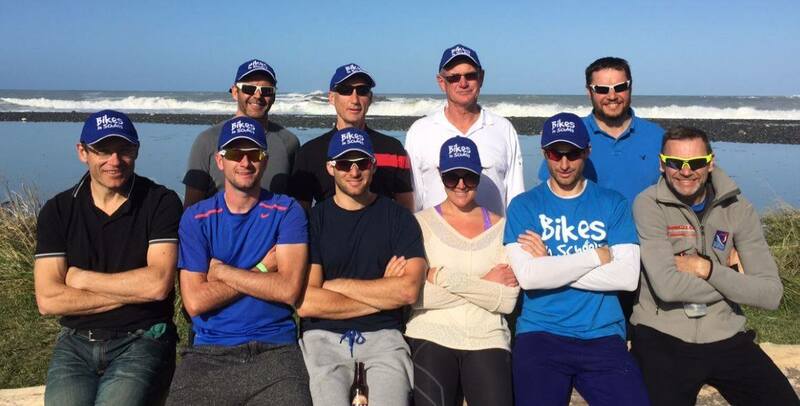 Together these teams and individuals have raised an amazing $25,000+ for Bikes in Schools! We’re not a big charity and an amount like this truly makes a difference, and really helps our work getting more kids on bikes across New Zealand. Maybe one day some of those kids will be cycling in the tour too. Yesterday was national “Go by Bike Day”, with cycling events across the country. In Hastings, the council marked the occasion with their annual big breakfast for cycle commuters. So good to see the crowds of kids at the event – including five local schools with “Bikes in Schools” facilities, many of them arriving at the breakfast in convoys from schools several kms away. Well done to them! Jeremy Rose from the Sunday Morning programme paid a visit to Hastings recently as part of his report on “Bikeconomics” – the contribution cycling makes to the economy. 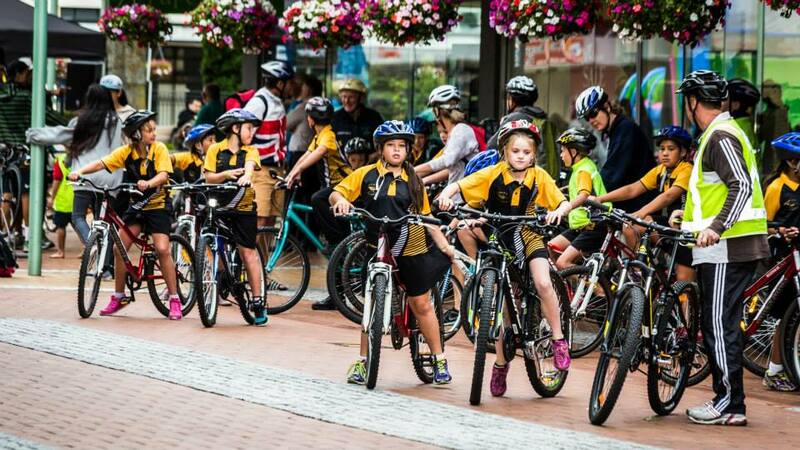 All the best bits from Bikes in Schools – school openings, the impact on schools, media clips and also practical stuff for schools like how to build a track and how to choose bikes. Why not subscribe and you’ll get updates on new videos when we post them.